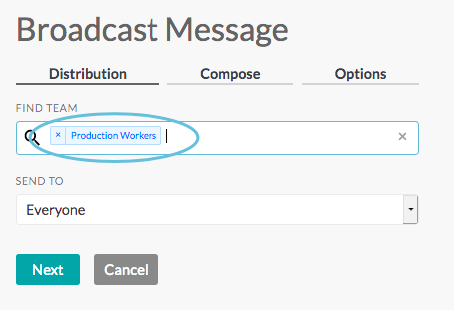 Managers and site administrators can use the Broadcast Message tool to send emails and SMS messages (a.k.a. texts). 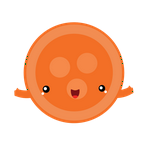 Groups of people based on profile information, availability, or geographic location. 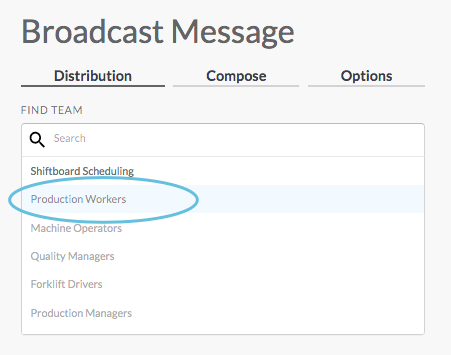 For example, if you need to fill an open shift on short notice, you can send a broadcast message to the members of a specific team (or teams) who are available to work at that time. 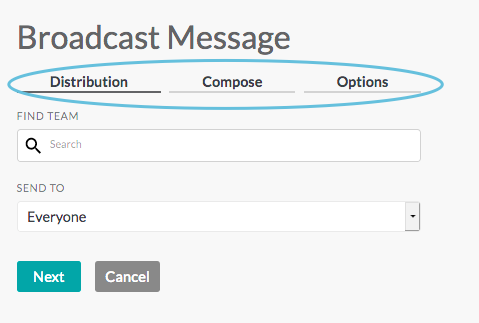 The Broadcast Message page has three tabs across the top—Distribution, Compose, and Options. Each tab is explained below. 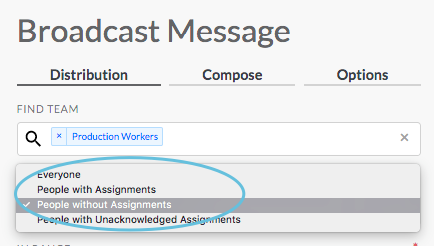 People with Unacknowledged Assignments—Sends the message only to members who currently have unacknowledged assignments during a specified day/time range. 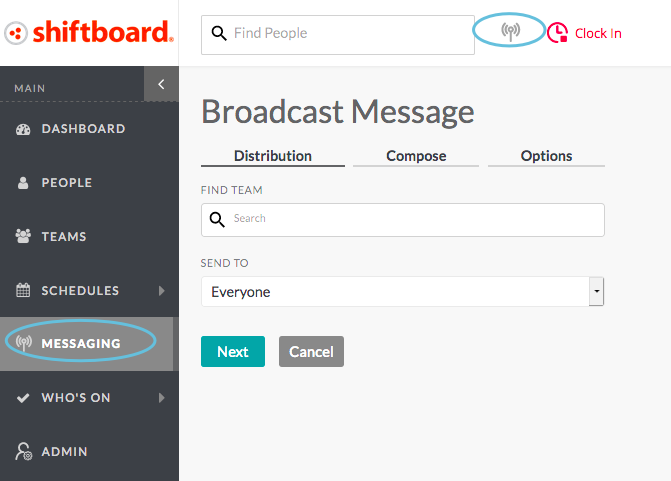 Everyone—Sends the message to any members who satisfy the other filters/criteria entered. If you select Everyone, then move to the Compose tab. 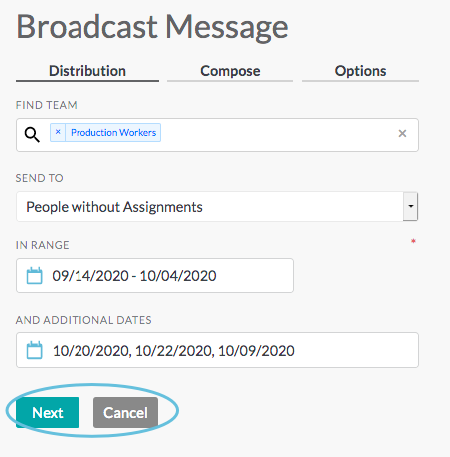 People with Assignments—Sends the message only to members who are currently assigned shifts during a specified day/time range. 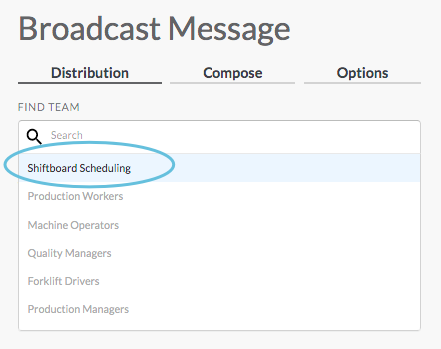 People without Assignments—Sends the message only to members who are not currently assigned shifts during a specified day/time range. You may select a date range using the In Range field, or you can select one or more specific dates using the Add Additional Dates field. 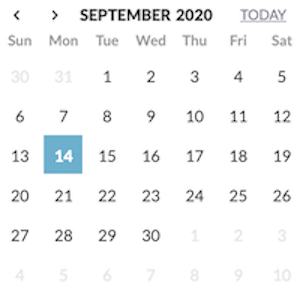 The In Range and And Additional Dates fields can be used together to select a date range as well as other individual dates. 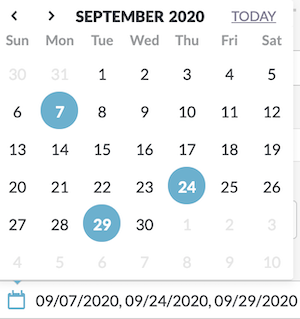 Note: You can select a single day by clicking the same date a second time. a. 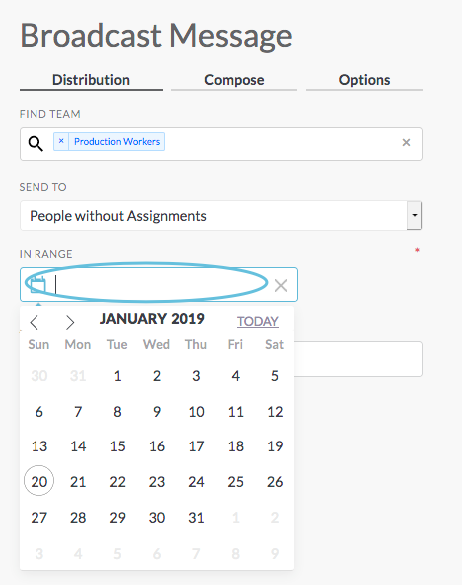 Use the And Additional Dates field to select additional dates that are outside of the previously selected date range.Note: This field does not allow you to select another date range, but you may individually select multiple adjacent days. b. 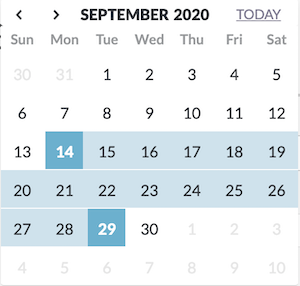 From the datepicker, click one or more dates to add them to the list. To close the datepicker, click anywhere outside of the datepicker or hit Esc. 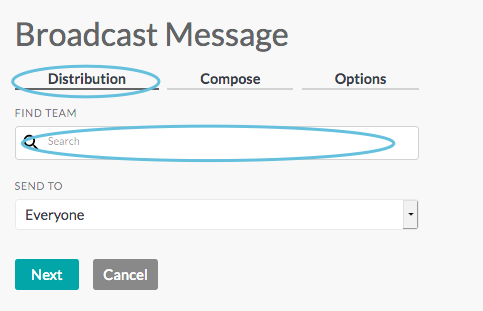 c. Click Next (or click the Compose tab) to move to the Compose tab, or click Cancel to cancel this Broadcast Message. The Compose tab is where you write the message. 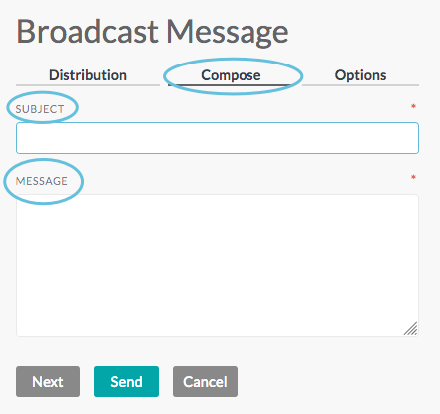 Reply to—Responses to the broadcast message will be sent to this email address. This defaults to the email address of the person who is sending the message. 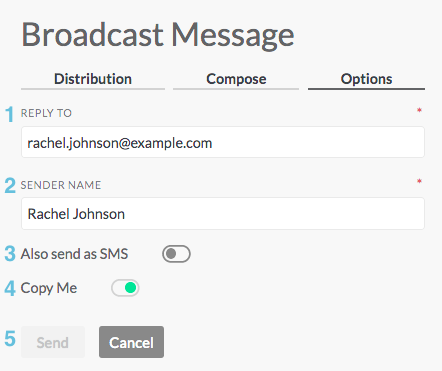 Sender name—The sender name is displayed in the From field of the sent message. 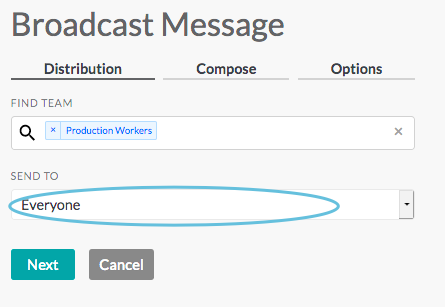 Also send as SMS—People can opt-in to receive broadcast messages via text on the notification tab in their profile. Note: SMS/text notification is in addition to email; those who opt-in will receive both email and text. Copy me—When Copy Me is set to On (green), a copy of the message will be sent to the Sender’s email address. You can move back to a previous tab without canceling the entire message just by clicking on the tab heading.